Part of being intentional is being able to live in the moment, being present in the every-day, here-and-now, sometimes mundane moments that make up today. Not that we shouldn't have goals and dreams and plans, but we should never spend so much time making them, or updating them or dreaming about them that we forget to live them. Not that we should just forget about the past, but we should never spend so much time reliving it, or reminiscing about it, or wishing that we could change it, that we forget that life is still happening all around us. Living in the moment allows us to experience life in all its glory: sunrises and sunsets, meals shared with loved ones, our favourite smells, the laughter of children, and all the other little things that make up life. After all, "[t]his is the day that the Lord has made, let us rejoice and be glad in it" (Ps 118:24). The psalmist doesn't talk about yesterday, nor does he mention tomorrow. Yet we have reason to rejoice and be glad, for God has made today. These words remind us God's love and faithfulness are not influenced by our past, nor are they dependent on our future. 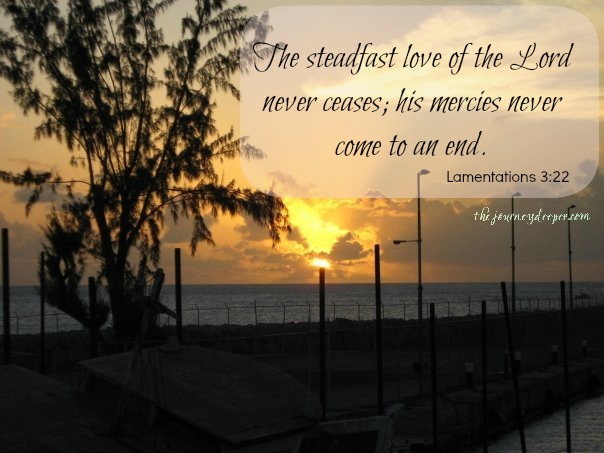 God's love and compassion, His mercies, are there for us every day, each day, all the days of our lives. Let us live each day intentionally, being present for every moment, for each of these moments is a gift from God. Any of these moments may be a blessing to another person. So take a deep breath, look around, and appreciate today. Be blessed and shine today! Thanks for the reminder! I recently heard the phrase "Fully Alive" - I think when we live in the moment we are truly, fully alive.